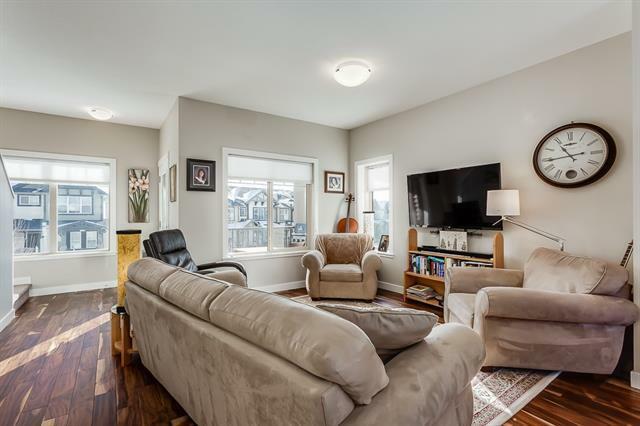 Sunshine soaked End Unit that has windows facing East, South, and West. There has been very tasteful upgrades made in this home. The Tile Floors, Acacia Walnut Hardwood and Quartz counter tops, make it extremely comfortable and inviting. 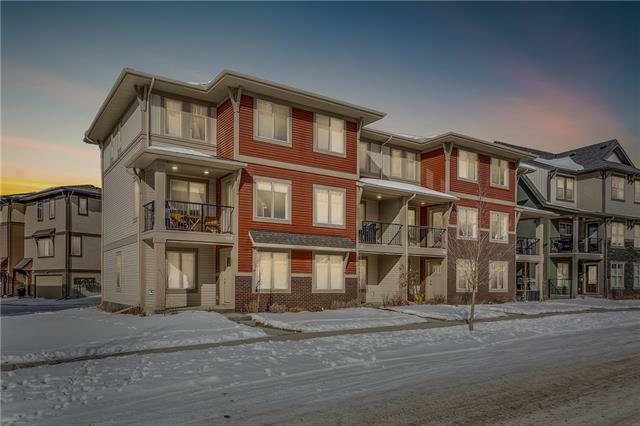 This 3 storey home has a spacious entry off the garage, and access for you guests. 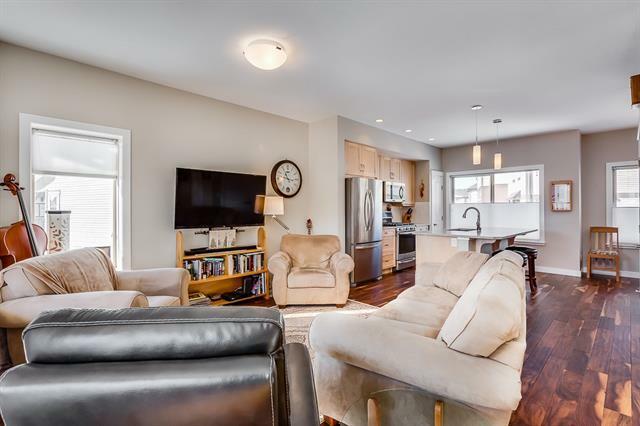 The Main floor has a cozy feel with maple cabinets, quartz counter, upgraded appliances, great size living room and a nook for the table. Upper floor has 2 full Master Bedrooms, each with their own Ensuite and Walk in Closets. There is heaps of parking in front of the home, as well as the double attached garage. 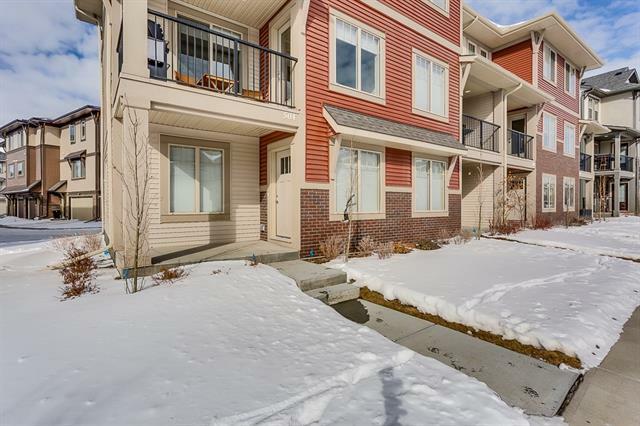 Walking distance to the Bow River, easy access to the mountains. Add this one to your list!